Our next OT is also a researcher who specializes in fatigue. Her research focus is on developing interventions to support people with primary Sjögren’s syndrome. 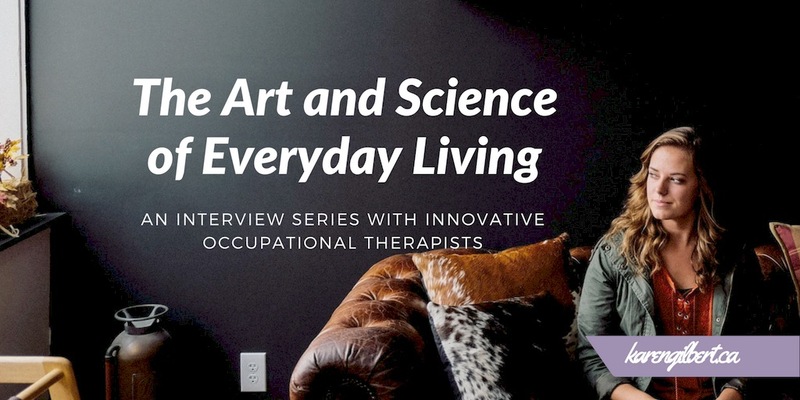 If you have an invisible health condition like Sjögren’s syndrome, you may find pieces of your own story reflected in the words of the occupational therapists interviewed in this series. You may even find a tip or two to help you live your life with more ease, joy and meaning and foster a renewed sense of hope. 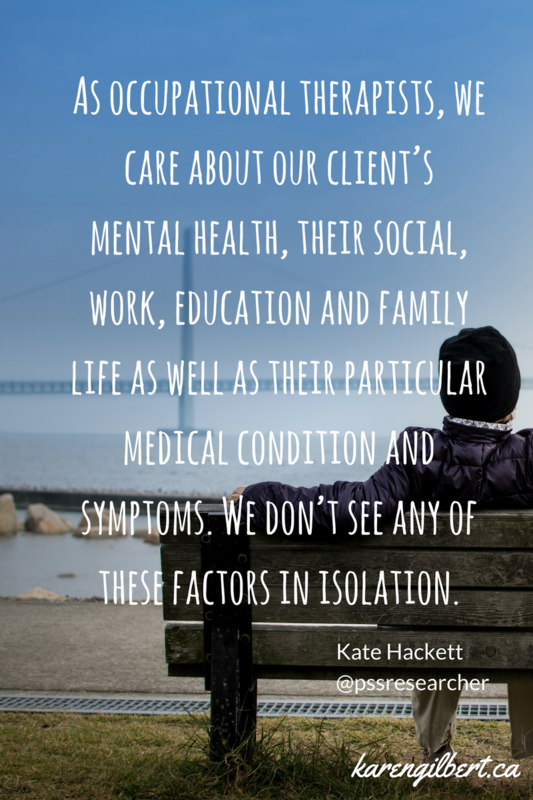 Kate Hackett is an occupational therapist specialising in fatigue in the UK NHS and a post-doctoral researcher at Newcastle University. Her research focus is on developing interventions to support people with the condition primary Sjögren’s syndrome to be able to more fully participate in their daily activities. Primary Sjögren’s syndrome is an autoimmune disease, where the body attacks its own mucous membranes causing dryness. Patients often experience additional symptoms including fatigue, pain and sleep difficulties. Kate graduated as an occupational therapist in 1995 from Coventry University, UK. She worked in a range of clinical areas before specialising in rheumatology and chronic fatigue. During her clinical practice, she began asking more questions about the types of interventions that occupational therapists were offering their patients. This curiosity led to her completing a Master’s in research and subsequently securing a Fellowship from Arthritis Research UK to undertake a PhD at Newcastle University, which she completed earlier this year. 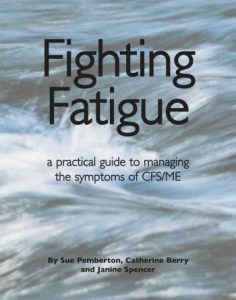 Kate and I connected through the OT community on Twitter and both use a self-management approach for fatigue and sleep disturbance with people with a variety of long-term health conditions. I knew Kate’s clinical perspective and research would be of value and interest to those who are drawn to this series and I am excited that she is here to share her knowledge and expertise with us. My clinical work is in a clinic for people who experience chronic fatigue alongside a long-term physical health condition. I explain that occupational therapists are interested in supporting people to do everyday activities of their choosing. 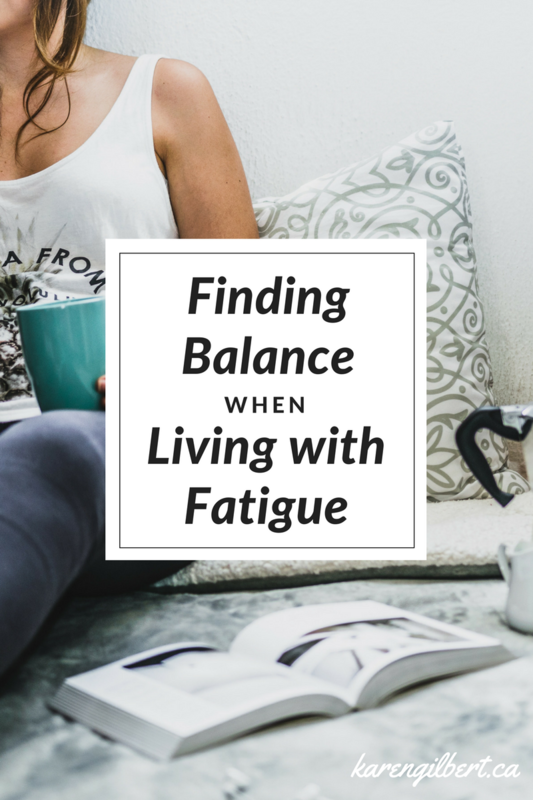 I explain that many people I have seen with chronic fatigue put the vast proportion of their energy into doing things they have to do (such as their work, self-care activities or caring for others) at the expense of their leisure or social activities. I explain that in occupational therapy we will look at strategies to support them to achieve a balance between work, self-care and leisure to help improve their quality of life. In my role as a researcher, I explain occupational therapy in a very similar way. I work in a medical school with biomedical scientists and doctors. I think they appreciate that my work is very much at the patient end of things and that with my research, I ultimately want to support patients to be able to do the things that they want to do or have to do in life, despite having a long-term condition. In my clinical work, chronic fatigue and sleep disturbances are the symptoms that I support patients to manage. Yes. 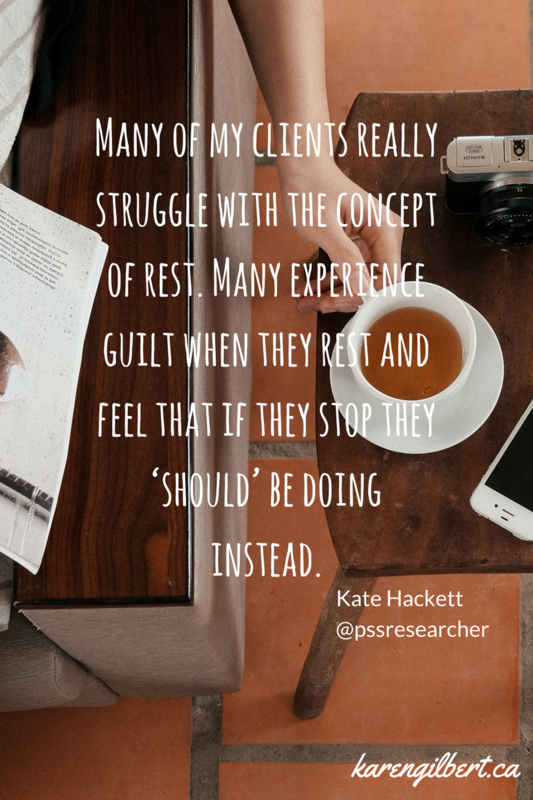 Many of my clients really struggle with the concept of rest. Many experience guilt when they rest and feel that if they stop they ‘should’ be doing instead. However, if they are able to break up their activities and intersperse them with planned rest breaks, they may feel less exhaustion later. Another strategy I use is goal setting. Many people focus on things they perceive as being more important, such as work or looking after others. Often their leisure activities have been sidelined. With some planning it is possible to work with a client to introduce some steps to help them achieve their leisure goals. Inevitably, when people are able to enjoy a leisure activity again, they experience a sense of achievement and satisfaction which adds to their quality of life. The fact that as occupational therapists, we see them as a whole person. We are not just interested in a bit of their body! We care about their mental health, their social, work, education and family life as well as their particular medical condition and symptoms. We don’t see any of these factors in isolation. My PhD research has demonstrated that people with long-term conditions need appropriate support to self-manage their symptoms in order to be able to participate fully in their daily activities. My future research is to develop accessible and digital interventions with patients and then test them. I hope that these interventions will enable people with Sjögren’s syndrome to better manage symptoms of dryness, fatigue, sleep disturbances and pain. If these symptoms are dominating their lives less, they should be able to do more things in life that they want to do. I think that as therapists if we can work with patients to develop strategies and interventions which they can access at any time from their phone or computer, it will empower patients to access support they need whilst at home. Whilst I don’t think that this kind of intervention will suit everyone, it could be a useful tool or support for many, in addition to the face-to-face treatments they are already receiving. I really value the importance of occupational balance. It is very easy to focus too much on one area of your life (such as work) at the expense of others (such as family or leisure activities). Whilst writing up my PhD thesis, this balance was disrupted and I made a conscious decision to redress it. This is something that I reassess at regular intervals. I love being in the outdoors. I love walking in the mountains or sitting on a beach while watching the sea. I like to go for walks in the countryside after work and at weekends. Sometimes I sit on a bench next to a lake in a local park during my lunch break as a restful activity in the middle of the working day. This summer I spent 2 weeks living in my tent! I find living outside to be incredibly restorative, even when it is raining! I really appreciate some of the activities involved in being a parent. One example is driving my children to their various activities. I have realised that these times (which I used to consider being a chore) are really enjoyable as this is when we often catch up with each other and engage in meaningful conversations. I started to teach myself the piano following the death of a family member at the end of last year. This has been a really positive experience for me and it has been really satisfying to see the progress I have made over the past 9 months. Playing the piano helps me process events, emotions and helps reframe me for engaging in the next activity. I often come in from work and spend a few minutes winding down by playing before getting on with domestic tasks. Wild swimming in rivers or lakes. Standing on the top of a mountain and looking at the view. Feeling the sun and wind on my skin. I’m a Christian and my faith is a huge part of who I am. The bible verse Joshua 1v9 comes to mind. It starts with the words ‘Be strong and courageous….’. Working in an academic environment has meant that I have had to step out of my comfort zone on many occasions, such as presenting my work at conferences or being interviewed by a funding committee. I guess a belief in the work that I am doing, the hope that it will improve care for people with long-term conditions in the future and stepping out and being strong (even when I don’t feel it!) has helped me move beyond my comfort zone and into new territories. I don’t really have a bucket list. However, I was lucky enough to achieve a dream of swimming in naturally warm water outside last summer when I was on holiday in Iceland. I would love to go on a long campervan trip around New Zealand or Canada one day! You are not alone. There are others who are walking a similar path. Many patients tell me how helpful it has been to know that those people have seen an improvement in their symptoms or have been through a transition and come through the other side. Some people have found this support online, others in face-to-face patient support groups or through attending group self-management classes in clinic. 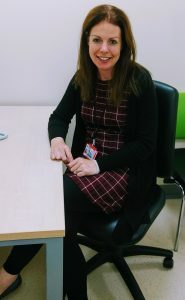 Kate Hackett is employed in both an out-patient clinical setting at Newcastle upon Tyne NHS Foundation Trust and by Newcastle University as a post-doctoral researcher. 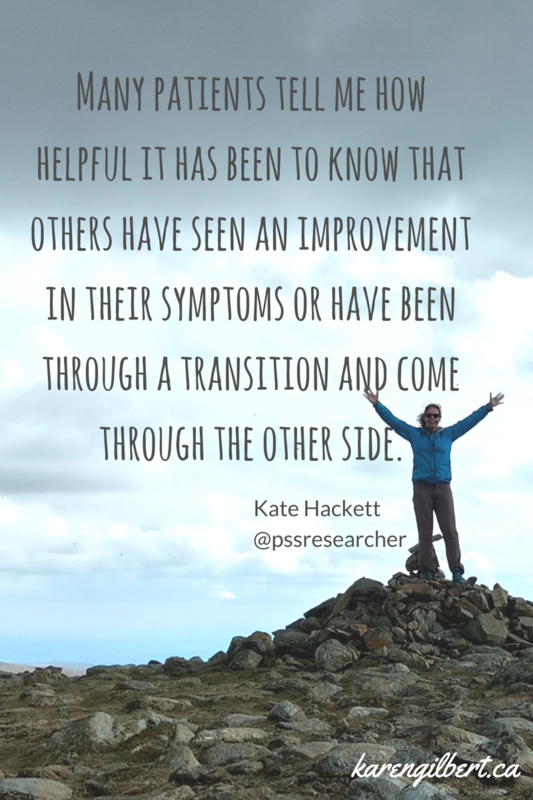 You can find more information about her background and research at http://www.ncl.ac.uk/icm/people/profile/katiehackett.html#background and https://www.researchgate.net/profile/Katie_Hackett. You can also find her on Twitter @pssresearcher .